The goal of this challenge is to build a simple blog platform with Ruby on Rails that passes the provided test cases. You can always look at the test cases for more details, but you're not allowed to change them. Make sure you've signed up for a Bitbucket account and fork the following repository: https://bitbucket.org/learneroo/simple-blog-tests. This repository was set up with Rails Composer as a basic starter app and already has a User model and Devise for authentication. Click the checkbox to keep your repository private. You should git push your changes to the app as you work on it. 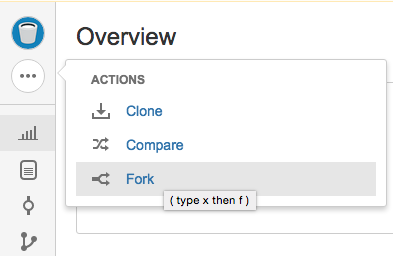 After forking the repository, clone it to your local development environment or to Cloud9. Setup the app by running bundle and rake db:migrate in the terminal. You can try it out by running rails s, or try running the tests with rake test. run rake db:migrate and then get ready to create the actual blog application! Note: get partial credit just for forking the repo and submitting your link below. What's the URL of your Bitbucket repository?